Due to inclement weather and other factors, the Sacred Heart Service has been canceled. 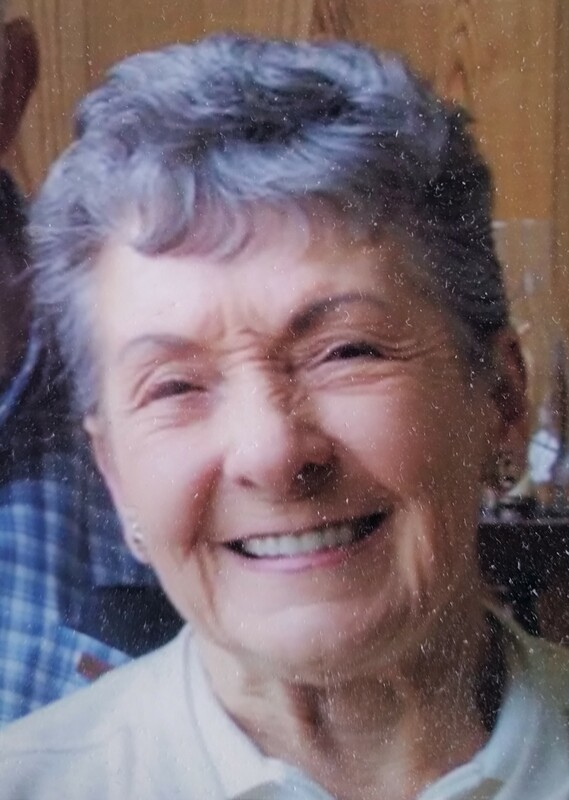 Instead, a visitation will be held at Woodlawn Funeral Home and Cemetery, 5930 Mullen Rd SE Lacey, Washington 98503, on Friday, February 15, 2019 at 2 p.m. Friends and family are encouraged to attend. We’ve just lost our wife, mother, best friend, and companion, Therese Marie Hebert. Born in Philadelphia Pa. Feb 7, 1928,daughter of Marie and Walter Taylor. She was first married to a young navy airman, Jim Wolery, who flew as a rear gunner and navigator off of aircraft carriers in the pacific theater during world war 2. They had 3 children and settled in Tumwater, Washington. As a result of treating injuries from an unavoidable auto accident Jim was found to have pancreatic cancer and later died on his birthday, Nov 15, 1953. Seven years later she married Orin Hebert, a former Quarter Master also serving on carriers in the pacific, and civil engineer from St. Martin’s College. The family traveled much of the country west of the Mississippi constructing missile silos during the early years of the cold war. They eventually returned to Lacey and had 2 more sons. Terry worked for St. Martin’s College for 20 years programming and operating their computer systems. With a strong love for the school, she and Orin were seen at nearly every basketball and baseball game for many years. She retired and found her joy in her children and grandchildren. Terri died at home in Lacey Wash, Feb 7th, 2019 on her 91st birthday. She is pre-deceased by son Paul and survived by her daughters Jeanette Hamilton and Rita Erdmann, and sons Walt Wolery and Rich Hebert, 12 grandchildren and 11 great grandchildren. In lieu of flowers, donations can be made to Saint Martin’s Athletics.